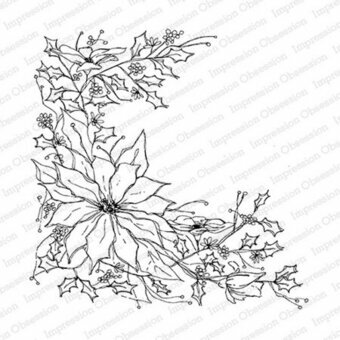 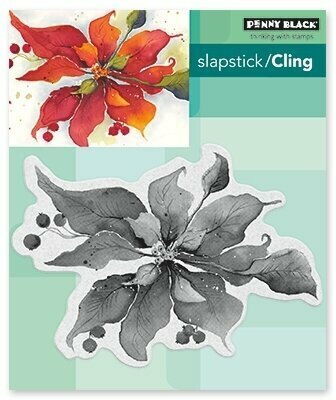 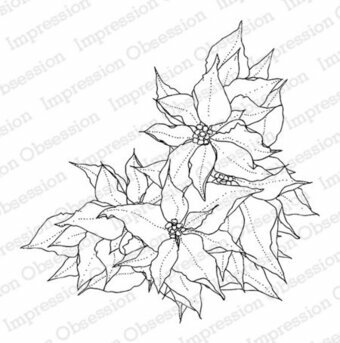 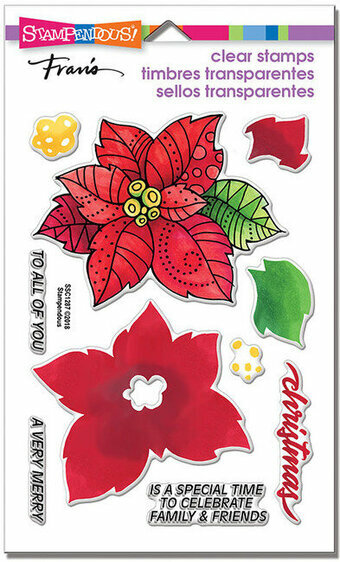 Cling Stamp from Impression Obsession featuring Poinsettia flowers and leaves. 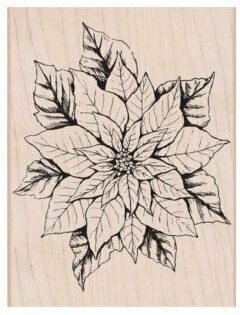 5.75" x 5.75". 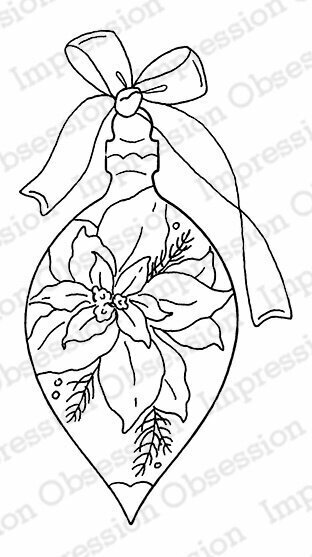 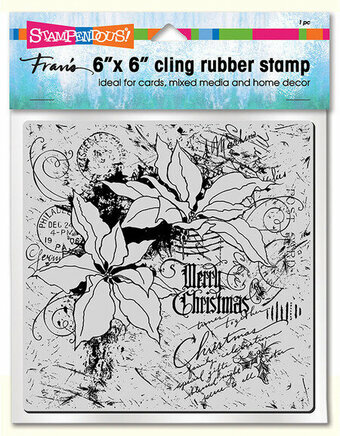 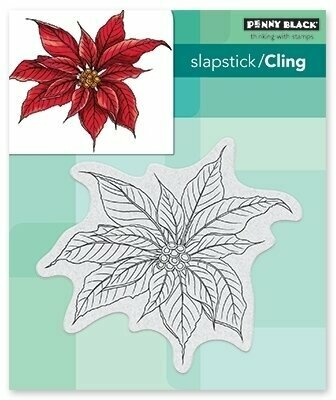 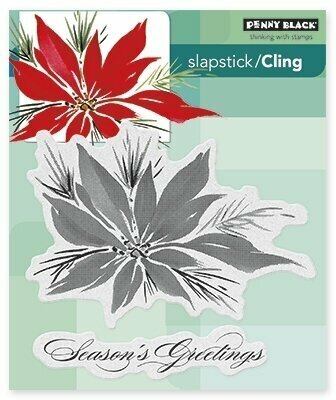 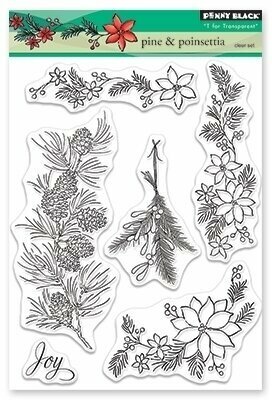 Christmas clear Stamps featuring poinsettia flowers, holly, and gift tags.